Pedaling the road has for a very long time enjoyed the satirical comments from @UCI_Overlord, who tweets about the cycling community and "information" from Pat McQuaid and UCI in particular. We were so lucky to be able to interview him the other day. The interview had to be made by mail due to his tight schedule and travels all over the world... In addition to this, the true identity of the Overlord needs to be kept a secret, so mail was the solution we landed on. As mentioned, I have long been a fan. In my opinion, the Overlord combines humour with deep insight of both cycling in general and the UCI. I'm not all that enthustiastic of every satirical account which seems to be all over twitter these days, but the Overlord manages to balance humour with knowlegde, a powerful combination. So here it is, your chance to get to know a bit more abour the person behind the account, what made him do this and what does he say about the response. The Overlord himself - no wait, it's Pat McQuaid. PDR: Good morning Mr. UCI_Overlord, how has your day started so far? UCI_O: It's been a busy day. I begin the day catching up on what I missed in other time zones, respond to emails, see what is upcoming for the day, before I settle into a typical doppio espresso and breakfast. This is followed by orienting my staff for the "real person" job for the day's activities. PDR: You started your account some months ago, coming from nowhere. What made you open the account and why did you choose Pat McQuaid? UCI_O: That is a very interesting question. I began on twitter upon a recommendation from a friend for another venture late last year, after have success with that venture on facebook. I'm an avid cyclist, and a staunch bicycling advocate in my local community, so I began with a personal account with that aim for raising awareness for our area when it comes to cycling advocacy. I linked up with a few fellow avid cyclists/humourists (Particularily @dwuori, @TDFLanterne, @velocentric, & @cycleboredom) with whom I shared a similar voice. After a background in journalism in my younger years, which I turned my back on for greater monetary gain, twitter gave me the confidence to begin blogging. The blogs found an audience and soon it became apparent that my focus was on the fractious approach to organized cycling -- almost hackneyed, if you will. I've always had an ethos that supports the David versus the Goliath. I cheer for the underdog, and I think reading about Graeme Obree's experiences with the UCI, and watching the film based upon his life struck a nerve. This, along with the current political climate and the exposure of corporate/governmental corruption by Wikileaks, spoke to me. I had this conversation, longer form, one night, with the individuals previously mentioned. In fact, one in particular, who will remain nameless, basically goaded me into using the satirical personification of Pat McQuaid as the appropriate vehicle. Frankly, I'm not one to back down from a dare, so it was born. 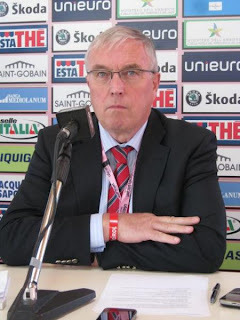 Based upon my research for numerous other cycling related written projects, I had a fairly good grasp on cycling politics and the personality that McQuaid has. McQuaid's tendency for colourful quotations, rooted in his firm belief that his opinion is the "correct" stance for all, in relation to cycling, was, in a word, breathtaking. I couldn't pass it up. PDR: The response you've got has been tremendous. I remember in the very beginning, people were, at least I was, very curious and somewhat sceptical to this satire account. You quickly won everybody over. What does this tell you? In addition to this, what is it you enjoy the most and least about being the Overlord? UCI_O: I've been somewhat overwhelmed and humbled by the response. I think my secret has been the fact that I spend the time to gain the knowledge about the intricacies of the UCI and many of the national federations, plus the Pro Peloton component. I've also spent many years studying the sport via the internet and also in print. So, I think what separates this account from others is that I have some meat behind the potatoes, so to speak. This also means that there is never repetition from day-to-day; I try to be unique in the approach, just like a "real person" would have. So, you're not hearing the same thing over and over again. There is some repetition, for continuity sake. What this all tells me is that if an account like this has some small popularity, then we have issues in the sport overall. If the sport was healthy, thriving, inclusive and collaborative, I'd be out of this job. And happily so. What do I like the most? Interacting with people who have a passion for this sport, but not necessarily from the same bag of experiences and historics that I bring. It gives me an opportunity to grow my knowledge by this interaction. I've made some wonderful friends through this, and I hope to meet many of them in person soon -- that has been the best by-product. Least? Those with thin skins, who take themselves too seriously to have time to stop and laugh at the ridiculous nature of where we are at overall. Those are the ones that I end up going after with vigour, so I guess in some respects, it's given me the continued discipline of trying to turn things I like the least into a positive. That's a tough question, because I really don't find anything that I like the least, so-to-speak. PDR: Hmm, can't please everyone I guess. 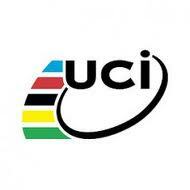 Have you heard anything from the UCI or any other governing body in regards to you setting up the account? Perhaps any responses from anyone you will share with the readers? UCI_O: It's been very entertaining. I received a direct message from the UCI on day 2 of the account telling me to stop. I responded in a very methodical way, based on the fact that McQuaid is a public figure. I've received emails of support for the account from those actually working for the UCI. 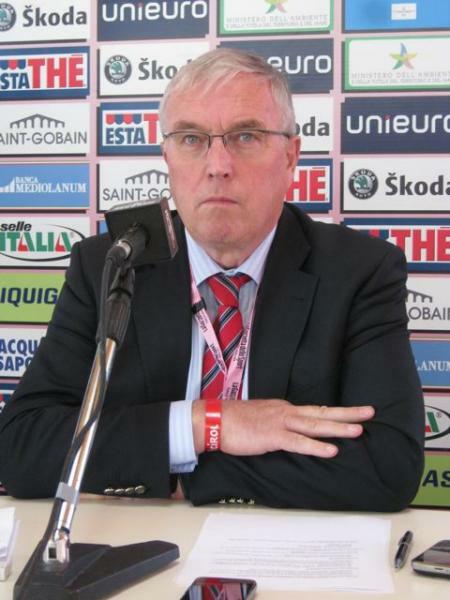 There was a journalist who asked McQuaid on the start line of Paris-Roubaix directly about the account, and he responded that he'd looked at it a few times, that's the world we live in, and something about it being rubbish. I directly then added the rubbish part to the profile description. I've interacted with a few of his family members; in fact, one of his brothers has warmed up some, based on the a few recent tweets. Many governing body representatives follow this account, and many folks have found empathy in following this account. Some have actually tweeted his whereabouts ahead of time, which has allowed me some fun in sharing my spin on real life situations. For example, I remember having fun during his appearance at a SportAccord function in London. PDR: So Pat himself is well aware of this account's excistence? How fun this must be to you. You are obviously very into cycling and you have much knowledge about the PRO peloton and the UCI. What is it about cycling you enjoy and what is cycling's biggest threat in your opinion? UCI_O: I've been involved in cycling in a variety of capacities, roles, and participation for the better part of 20+ years. Plus, I'm continually reading and absorbing information from a variety of sources. It's important to be knowledgeable and effective over a long term when it comes to satirical parodies, otherwise your shelf life is very short. I enjoy cycling because it is the one sport you can do on your own, do in a group, and feel connected to your surroundings directly. I thrive on the pain associated with riding, and I have a last man standing attitude in most things, which is a beneficial trait for this sport. Cycling's biggest threat is a never-ending bureaucratic growth that threatens to choke the life and creativity out of cycling. The UCI is one such example, as absolute power corrupts absolutely. The continued sophistication of the masses due to informational technologies, I believe the need for this style of organization is dated and outmoded. In fact, I might say that the bureaucracy could be partially responsible for the proliferation of doping opportunities, but that is for another time. PDR: I see, wonder if the florishness of bureaucracy in sport, reach it's peak soon. What future plan(s) do you have with the account, what is the next step? UCI_O: That is under lock and key. Ha! sorry. Keep reading to find out what's next. PDR: Thank you for the interview Overlord, back to never ending meetings and other important business I guess? Anything you would like to share with the cycling community? Never be afraid to make that first big step, and the small steps forward afterwards, you never know where that path may lead, and despite its potential scariness, the journey is exhilarating! You can find the Overlord not only on twitter, but also every Friday for his weekly column for stella gents at www.flammecast.com. And be sure to check out the interaction between @Flammecast and the @UCI_Overlord on twitter. Hey! I just wanted to say the fact that you sure have built a stunning website. Will you be so kind and answer my question. Did you run in any kind of competitions among bloggers?